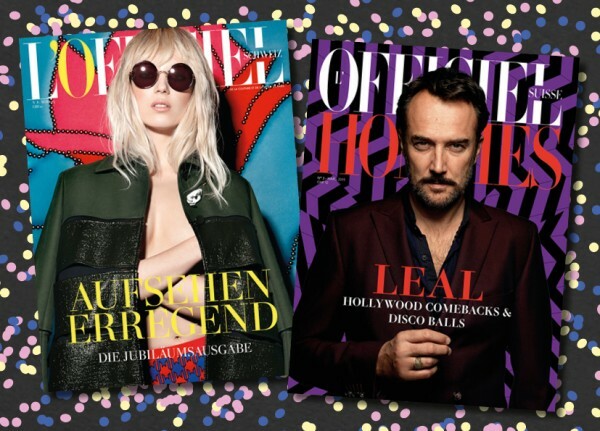 Happy 1st Birthday, L’Officiel Switzerland! Happy Birthday to my baby, L’OFFICIEL Switzerland, and welcome to the big anniversary issue, our biggest one so far, filled with lots of S/S 2015 fashion, beauty, jewelry, travel and more! As my team and my humble self as editor-in-chief celebrate our first year on the market, we have prepared a truly super packed March Issue! Also check out our second issue of HOMMES, with an exclusive interview with Carlos Leal – BOTH ISSUES OUT TOMORROW! By the way, our subscribers had it already today in their mail box, to subscribe, please click HERE.